Leaf blowers are far more versatile than their name suggests, making light work of all sorts of outdoor clearance jobs. Whether you're looking for a cordless rechargeable model, or a petrol model that can tackle bigger jobs, we've got a range of leaf blowers that will suit you. And with our fantastic Parts and Servicing, you can be sure that whatever machine you choose, it will serve you well for years to come. 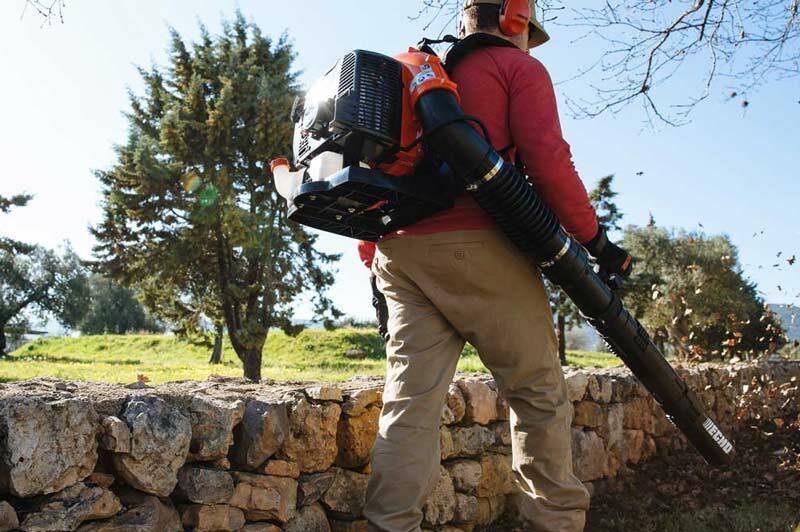 Our leaf blowers are designed to take the strain away from your back and arms. Padded backrests and shoulder straps keep them comfortable so you can work without distraction. We also have backpack mounted blowers with throttle controls mounted on either the tube or hip. The powerful, easy-start engines, in combination with ergonomic, straightforward controls - and features like cruise control - make using the machines for long periods of time easy. 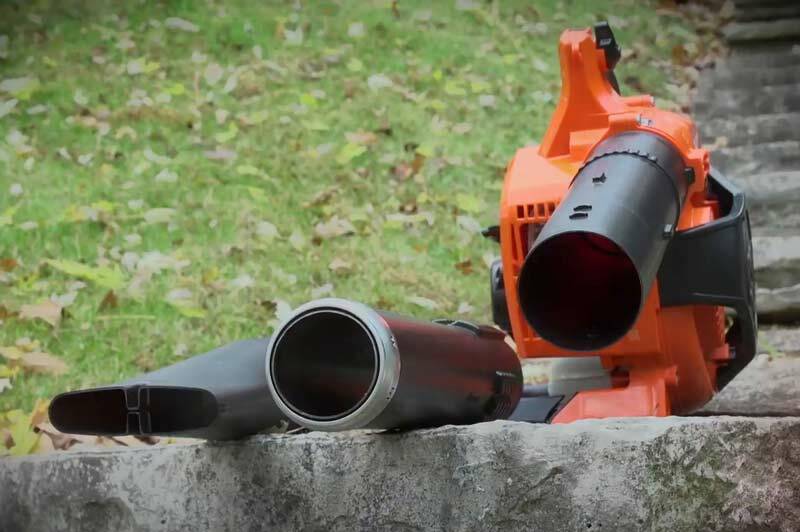 No matter how your machine is powered, all of our leaf blowers excel at blowing! Although most manufacturers publish the speed (in MPH) of their blowers, this is only part of the story. As important is how many cubic feet per minute (CFM) of air they move. All of our blowers provide the ability to both move debris (MPH) - and to keep it moving (CFM). This combination of high speed and high volume air output, combined with ease of control, means that your blower will easily perform whatever job you need. Pop by and see our range of Leaf Blowers for yourself, or you can browse through our collection of equipment online.